To win new business you need to stand out from the crowd. And to be honest the best way to stand out is to create rapport and human connection. At the end of the day ‘People buy People’ and whatever service or product you’re selling there will be many other companies with a similar offering. So if you don’t connect on a deeper human level, you won’t be bought. That’s why pitching is less about your actual presentation and more about people behind it – and why chemistry is such a critical factor in winning business. The human factor is what will differentiate you from their competition, far more so than having great ideas or a strong track record. But the human factor comprises far more than you’re actually conscious of. 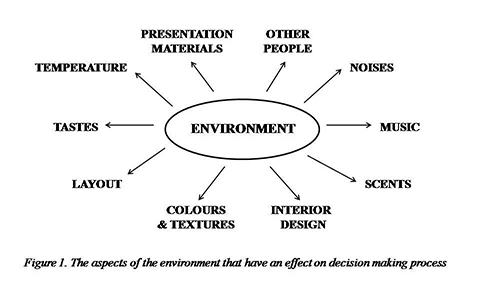 In a pitch environment, everyone present is being subconsciously influenced by their surroundings as well as by the others in the room. How you control these factors plays a significant role in the sort of mark you make on your potential client’s mind. It all starts with UNDERSTANDING your audience. That means not just researching the company you’re pitching to, but researching people behind it, too. 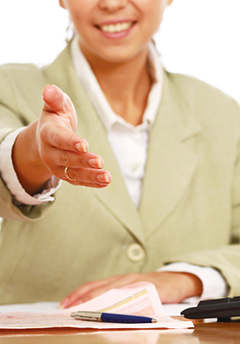 Knowing something about the people you’re pitching to will increase your chances of building a strong rapport. Find out about their interests, which football team they support, what’s important to them, where they socialise. This will help you with the second critical factor, COMMUNICATION. What you say and how you say it needs to be consistent with your values and approach as well as those of your potential client. That doesn’t mean pretending to be someone you’re not, but it does mean accentuating those characteristics and behaviours that are likely to chime with the other party. The more familiar and similar to the client in personality and behaviour you are, the higher the likelihood you will be liked and you will build a rapport. And the stronger the rapport, the more likely you are to win a pitch. This stems from two psychological effects: the familiarity effect and the similarity effect. The familiarity effect basically states that the more you are exposed to something, the more you like it. The similarity effect explains that the more similar characteristics, behaviours or interests someone or something has to us, the higher the possibility that we will like them/it. This is where the knowledge of the people you’re pitching to is so important. If the decision-maker is an Arsenal fan, wear something red rather than something blue, mention the recent game (but only if Arsenal won!) or use football to illustrate your point. You have two tools to help you create rapport and subconsciously influence decision- making: ENVIRONMENT and YOU. Seemingly unimportant details of the surroundings in which the pitch takes place can affect your chances of winning the business. Things like room temperature, texture of the floor, scents and music all have a subconscious effect on those present. One study even found that simply holding a warm drink in your hand can make you evaluate someone’s personality as ‘warmer’. So next time you’re having a meeting with a potential new client, offer them a hot coffee rather than a glass of water and see what happens. Or try to observe any differences in meetings in which a client choses a hot drink rather than a cold one. What about colour? A 2009 study found that red induces ‘avoidance motivation’ and therefore improves performance on detail-oriented tasks, whereas colour blue induces ‘approach motivation’ and improves performance on creative tasks. The inference is that even such a trivial thing as changing the background colour of your presentation slides depending on what you want to get across might improve your chances of winning a pitch. So next time you have a pitch or even meeting with a potential new client, think about what aspects of the meeting environment you can control to improve your chances of winning. The second, but most important, tool is YOU. There are many aspects of YOU that can subconsciously influence a decision. But more than personality, behaviour and interests, it is your non-verbal communication that matter. After all, something like 93% of our communication is non-verbal and a vast majority of it is only perceived on the subconscious level. Perceiver assesses things like the colour of your skin and hair, the shape of your face, your expression, posture, clothing and grooming. They might notice WHAT your voice sound like, but never the words you use. This comes only after they have made up their mind about you! This isn’t a process we can stop or pause. It just happens, and the only thing we can do is to make sure that we come across in the way we want to be perceived. Going back to colour, a recent study found that information presented someone wearing red clothing was perceived as more accurate than when they wore white or blue. So think about what you wear and how you’re going to walk to the room. You only have one chance to get this right, so practice it with your colleagues and in front of a mirror. After all, if you can influence a potential client’s subconscious so they love you more than your competitors, why not do it? Kate Nightingale is founder of Style Psychology. She is an expert in the psychology of fashion, beauty and lifestyle, consumer behaviour and decision making, non-verbal communication, branding, personal branding and first impressions. Trained in psychology, economics, marketing and fashion, Kate has worked with many entrepreneurs, executives, communication agencies, retailers and corporate clients, such as GolinHarris PR, Debenhams, Thomas Pink, intu Trafford Centre, and Pictet. Posted in: New Business, Pitching.